Certainly, the most important part of any business is the customers, especially repeat customers. 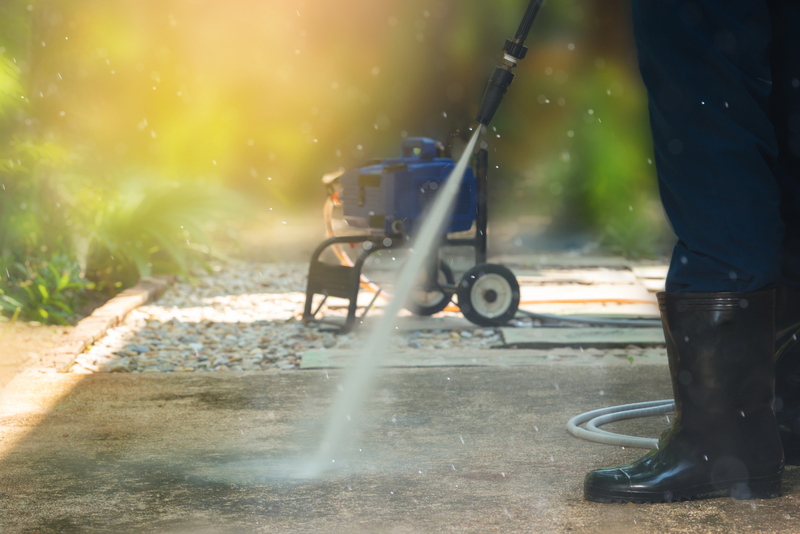 One of the advantages of being a pressure washer contractor is that walls, decks, windows, and roofs get dirty over time and a pressure washer contractor, one a book of business is built sufficiently, will typically have repeat customers. The hard part, however, is building that initial book of customers. Now, in 2018 and going forward, getting prospective customers is much easier than it was in the past. No more expensive phonebook ads, door knocking, or begging for referrals because now we have the internet! If a contractor is willing to share some of his or her earnings with a company like Thumbtack, they can get jobs much quicker and easier than ever before. Contractors just need to do a great job and keep their customers happy and those happy and loyal customers will typically come back for more. Oh, and don’t forget that happy customers can become raving fans and send your business referral after referral. Through internet and TV advertising, Thumbtack offers prospective customers services of independent contractors across the country. Through the Thumbtack web platform, Thumbtack is able to introduce prospective clients to hard-working contractors who have proven that they are ready and willing to do a great job at a fair price and Thumbtack removes the hassle usually associated with finding and hiring an experienced contractor to do the job needed at a time that works for both parties. Whether you’re a pressure washer contractor, painting contractor, or carpentry contractor, Thumbtack will find those valuable leads that you used to search high and low for. You can think of Thumbtack as a lead generation service that delivers leads from people who have seen your profile and are interested in talking to you. Thumbtack makes money by selling you the leads they find for you and you make money by getting hired and doing a great job. What are Contractors Saying About Thumbtack? First of all, let’s get the disclaimer out of the way. Neither the author nor Fairbanks Insurance Brokers have any financial arrangement with Thumbtack. We did some research on the internet and on YouTube to find out what contractors are saying about Thumbtack. Like with other services we’ve researched, there are contractors who feel like Thumbtack has helped them build a solid book of customers and other contractors who felt like they’ve been scammed. Knowing this, we’ve provided some pro and con videos that could help you decide if Thumbtack would be a good resource for leads. Important Note: These videos can run about 10 minutes long. Watch them to the end and then check out the comments below the videos to see how others are reacting. There are now over 10 million people using Thumbtack and the company is worth over $1 billion with investors like Google. Although this is just a small offering of Thumbtack reviews, if you’ll take the time to read the comments posted below the video you’ll learn a lot more.